Race Seats & TrimThere are 9 products. OE seat runner. 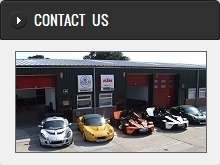 Fitment: RHD Cars - for use with later 111r, Exige S2 seats (not K Series Elise S1, S2). Nylon spacer kit to allow fitment of Mulsanne B Carbon Seat to standard Lotus seat subframe. Conversion kit to allow fitment of Hangar 111 Race Seats or Reverie Carbon Fibre seats to 111R, Exige S2, 2-Eleven or VX220 standard LHD runners. OE seat runner. Fitment: LHD Cars - for use with later 111r, Exige S2 seats (not K Series Elise S1, S2). Lightweight race seat with GRP layer plus single Carbon layer construction. Fits all cars except Evora. Lightweight race seat with twin-layer carbon fibre construction. Fits all cars except Evora.